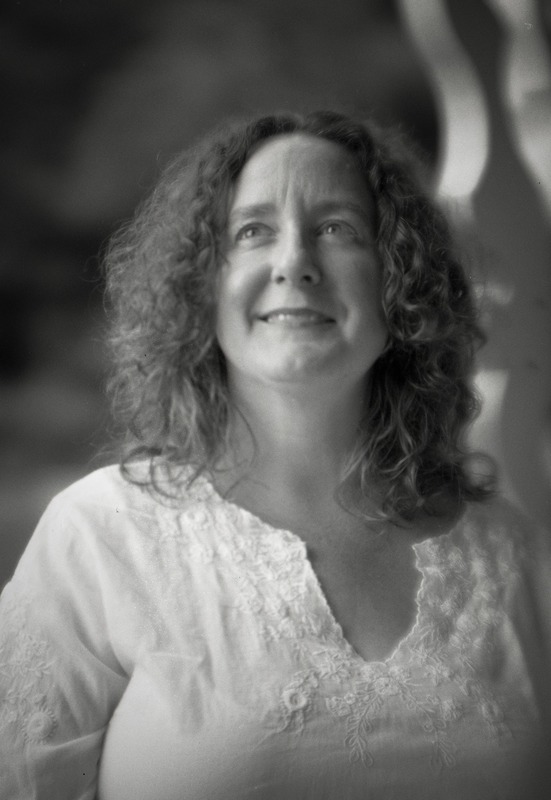 Today another three portraits if my good friend and frequent collaborator Jennifer. 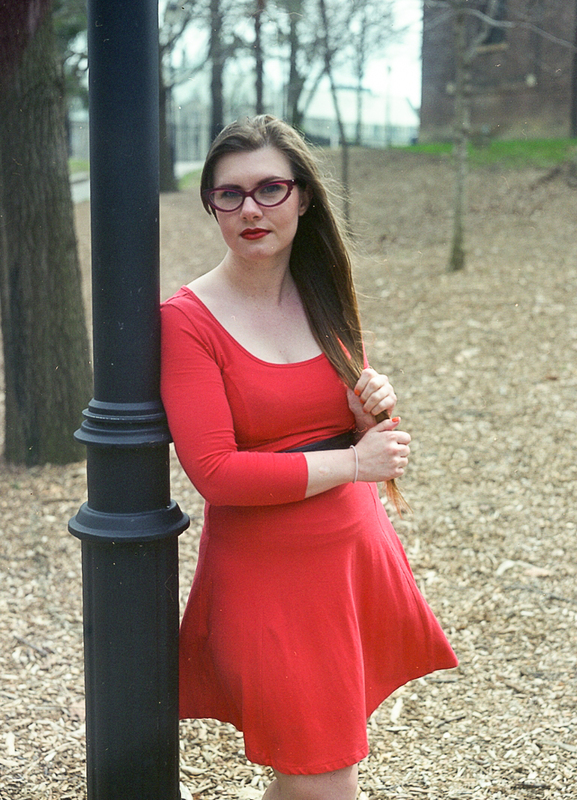 This shoot was a experiment on two fronts: it was the first time I tried shooting a hand-held portrait with my 4×5 Speed Graphic and 127mm/4.7 Kodak Ektar lens, and it was the first time I tried shooting some Fuji NC 160 4×5 colour sheet film I’ve had for a while. 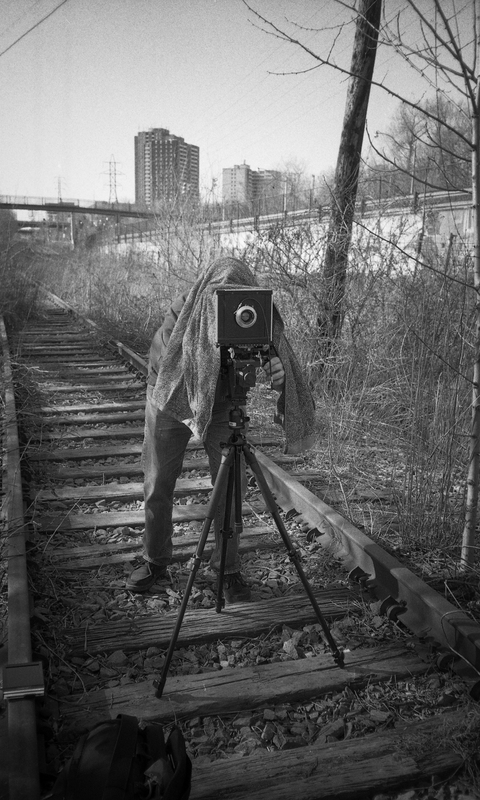 Last weekend I got together with friends Sean and Ori for some large format shooting at the unused rail bridge in the lower Don Valley in Toronto. 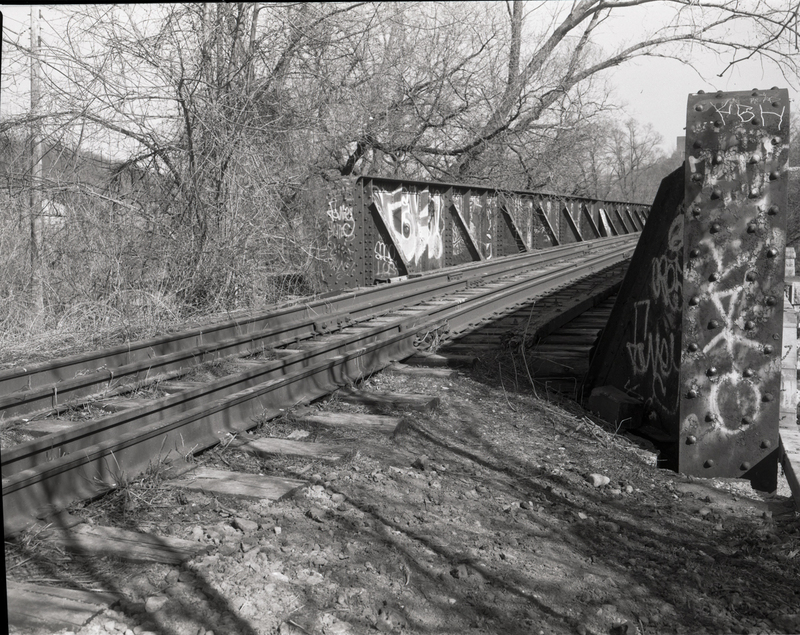 I was shooting my Speed Graphic 4×5, with a 127mm/4.7 Kodak Ektar lens, using Fomapan 100 film. 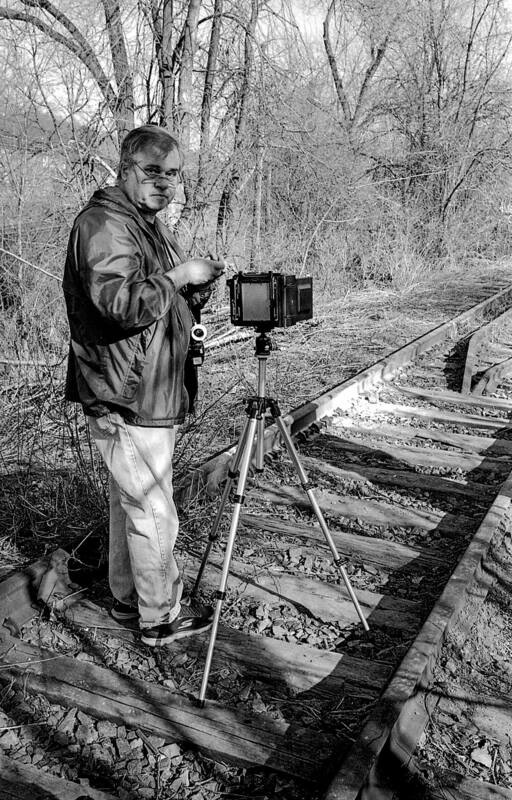 Here’s a image of my friend Sean, setting up an shot with his 4×5 view camera, taken with my Olympus XA 35mm. 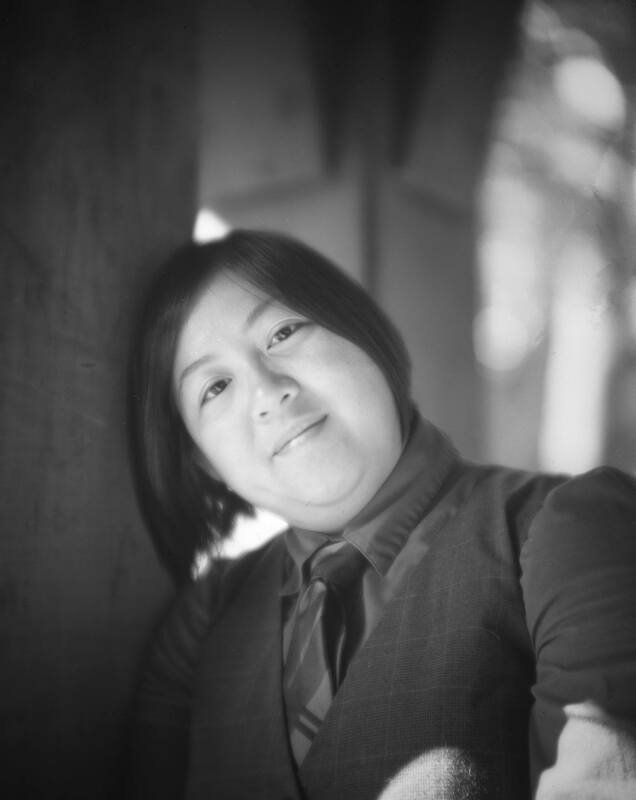 Today another portrait of a film photography friend 🙂 It was a lovely day at High Park yesterday when Chrissie Wu and I met up for a photoshoot. 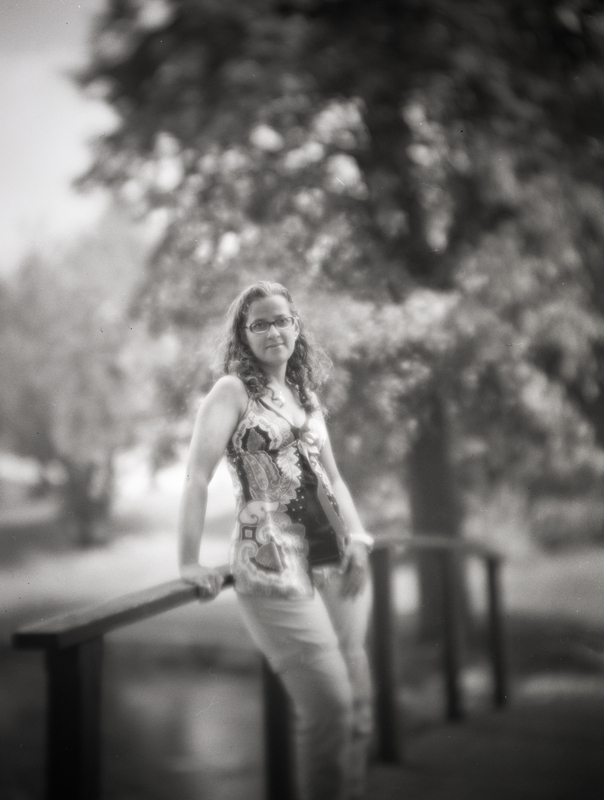 I was once again using my 4×5 Speed Graphic and vintage Petzval lens, but the film was Fomapan 100, which I have never shot in 4×5 before. 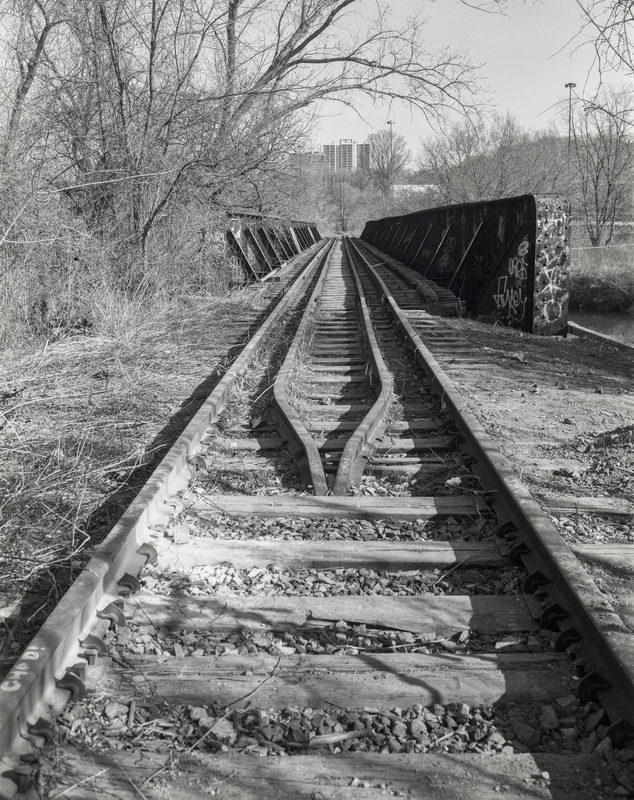 Developed in Xtol 1+1 for 7.5 minutes @ 20 C, I am quite happy with the tonality of the result. 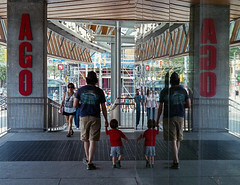 Recently I went to Kitchener for a shoot with my friend Suzanne Leakey. 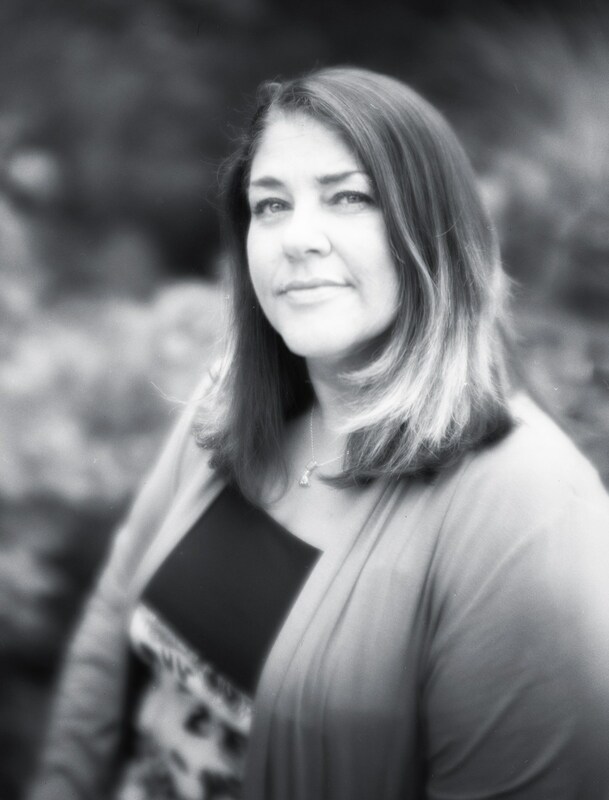 Suzanne is a talented photographer in her own right, as well as a jewellery maker. It was fun to talk shop as the shoot progressed! 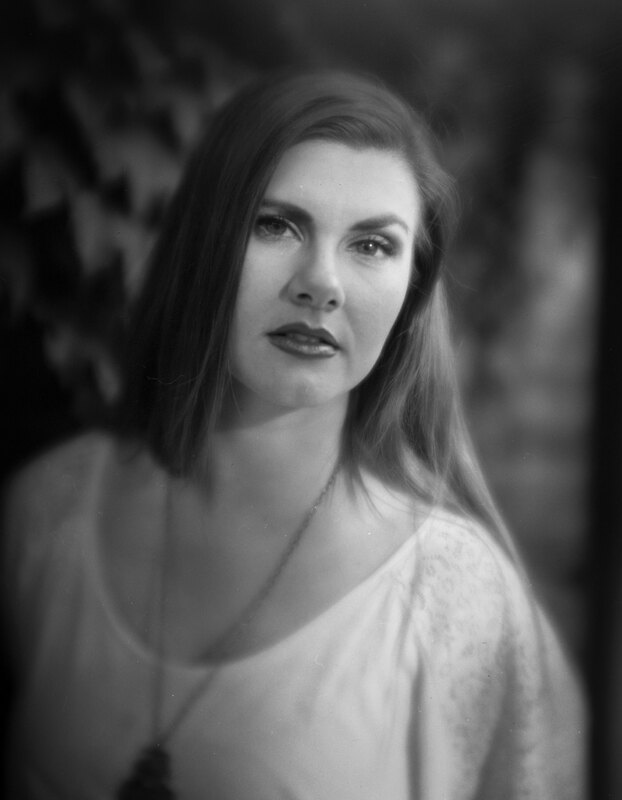 This image was taken with the 4×5 Speed Graphic and antique Petzval lens, on HP5+ film. 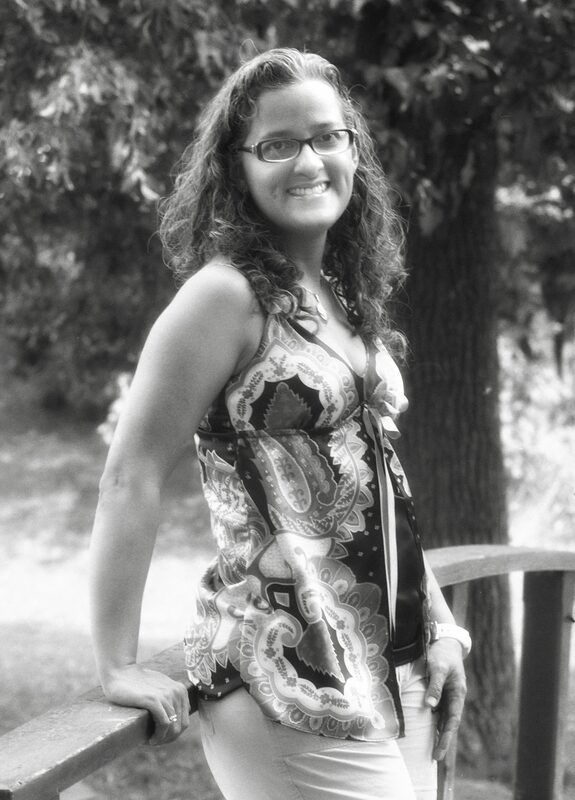 I had a great shoot yesterday with my good friend Jennifer yesterday. The sun was low in the sky, and through the trees on the U of T campus downtown the light took on a lovely dappled quality that I think worked well with the Petzval lens and the 4×5 Speed Graphic. 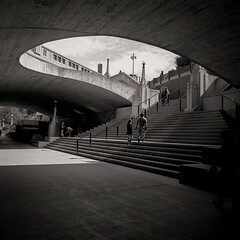 Created using Ilford HP5+ film. Last Wednesday at lunch on a very warm, humid day I got together with my good friend Adriana for a portrait shoot in Centennial Park in Mississauga. 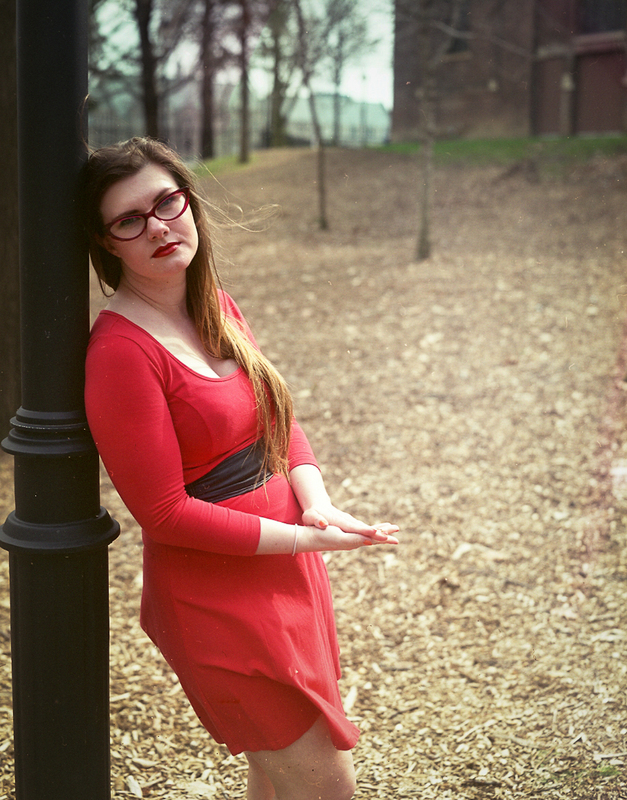 I used two very different cameras: first, my Olympus Pen F, which until I had primarily used for male portraits. 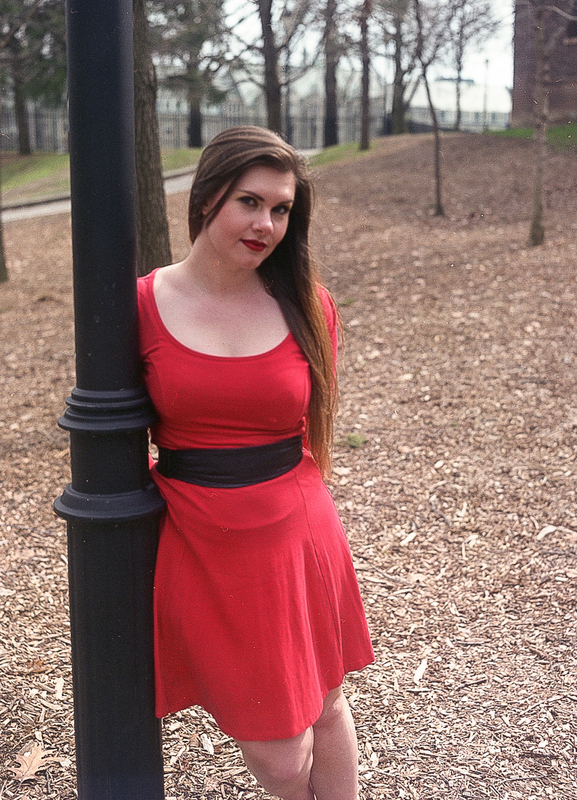 With a 100mm/3.5 Zuiko lens mounted, I think this camera works for female portraits as well.